​​​Our regular cycle should be the 4th Saturday of every other month. Original and copy of "OFFICIAL" Photo ID. (ex: Driver's license, State issued Photo ID, Passport etc) a second ID to verify the first no picture needed. ALL ID's MUST have a valid and verifiable US mailing address. 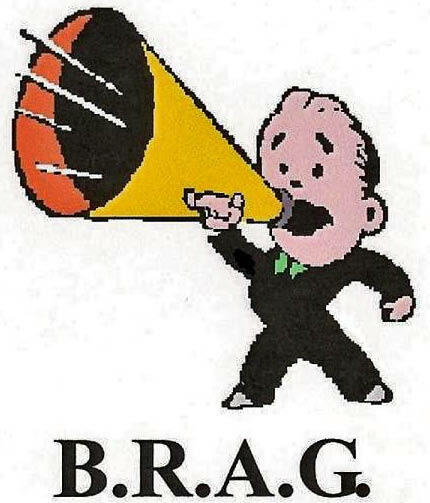 Original and copy of any Amateur license currently held. NOTE: PLEASE BRING THE REQUIRED COPIES, we may NOT have access to a copier the day of the session!!!!! All original documents shall be returned after verification of the copies has been completed. from Fripp Island, St. Helena Island and Lady’s Island, S.C.
Take Highway 21 North; travel approximately 16 miles. cross over the McTeer Bridge. The hospital is approximately two miles farther on the right. ​from Hilton Head Island, S.C.
Take Highway 278 West off of Hilton Head Island; travel approximately 10 miles. Follow the merge sign to Beaufort, turning right onto Highway 170 East; travel 2.3 miles. Turn right at the traffic light, continuing on Highway 170; travel 13 miles. Turn right onto Highway 21 South; travel two miles. 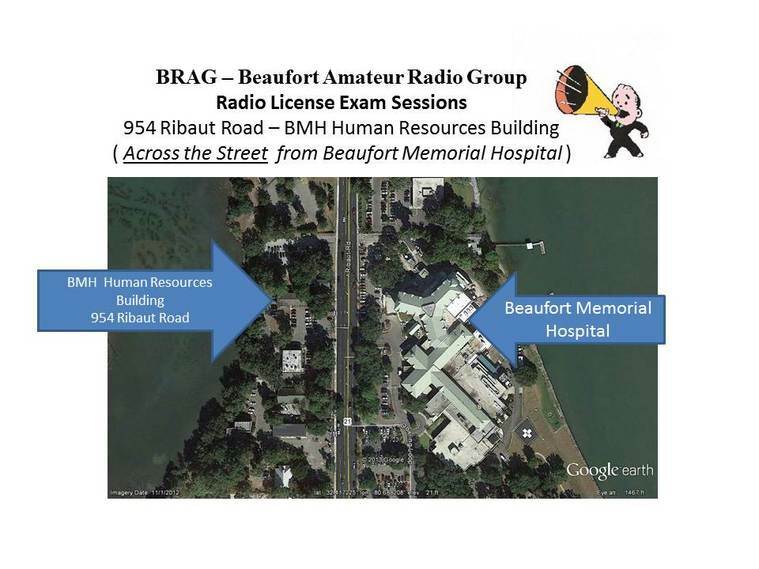 Beaufort Memorial Hospital is approximately two miles farther on the left. Go north on Hwy. 17 over the old Talmadge Bridge. Take first turnoff to Hwy. 170 (Hilton Head/Beaufort); about 5 miles from bridge. Follow Hwy. 170 and signs to Beaufort. You will pass one of the entrances to Sun City Hilton Head on the left. Then you will drive under the Hwy. 278 overpass. Keep going on Hwy. 170. You will pass Callawassie on the right; Beaufort Jasper Water Authority on the left. Keep going; over Chechessee Bridge and then the Broad River Bridge. Stay on Hwy. 170. Pass Wal-Mart on the left; later Staples on the right. Turn right at the light after Staples onto Hwy 21. Pass Appleby’s on the right, then Wendy’s . Then K-mart/Bi-Lo shopping center on the left. Keep going. Turn right at the 2nd light after the shopping center light. That will be Ribaut Road. You will drive a few miles down Ribaut Road, until you see the Technical College of the Lowcountry campus, which you will pass on the left and right. Beaufort Memorial Hospital is on the left just past the Technical College of the Lowcountry campus. Take Highway 17 South; travel approximately 48 miles to Gardens Corner. Take a left onto Highway 21 South; travel approximately 14 miles. The hospital is approximately two miles farther on the left. Take Interstate 95 South to exit 42. Turn left onto Highway 21 South; travel approximately 30 miles. Turn right onto Ribaut Road (still Highway 21).